This ride was a great way to start of the off-road riding season this year. Even though it took about 15 hours to regain full feeling and movement in my hands, I would do it again in a second - especially if the same group of guys were riding it. Tom, Steve, and Brian are a great group to go off-road with, and we all took turns leading through the trails and through the ice. 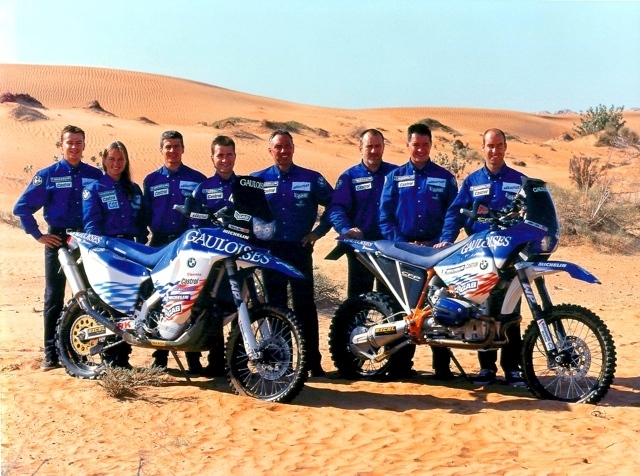 NSBMW OFF-ROAD TEAM - similar to the BMW Dakar Winning team!!!! SnoDawg wrote: This ride was a great way to start of the off-road riding season this year. Even though it took about 15 hours to regain full feeling and movement in my hands, I would do it again in a second - especially if the same group of guys were riding it. Tom, Steve, and Brian are a great group to go off-road with, and we all took turns leading through the trails and through the ice.